A history of social subordination has left African American students at increased risk for various academic challenges, including well-documented diminished rates in test scores, high school graduation, and post-graduate persistence. Meanwhile, while current trends in education present unprecedented demands for family involvement in education, African American adolescents’ opportunities are often truncated by bifurcated challenges to effective engagement. 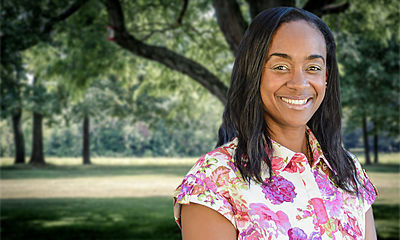 First, African American families face structurally-rooted disadvantages in the social and cultural capital that undergirds many common family involvement strategies Second, succeeding in racialized social and educational institutions require an additional burden of African American caretakers in preparing their children for academic success. Engagement strategies related to the latter are especially significant starting in middle school, where social and academic identities begin to become entrenched and play a strong role in youths’ long-term educational prospects. 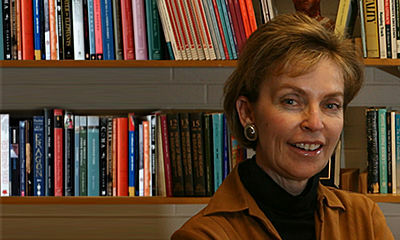 However, extant theories of family-school engagement are largely derived from elementary school models and do not account for developmentally appropriate strategies that may be unique to middle school contexts, let alone for the racialized terrain navigated by African American youth. In response, the current project integrates stage-environment fit theory with the cultural wealth model as theoretical frameworks, and seeks to identify uniquely effective family involvement practices for African American students in middle school. The overarching goal of this project is to advance the field past course, theme-based ideas of racialized engagement by identifying and testing specific, contextually and developmental informed, strength-based approaches to African American family engagement. Ultimately this work seeks to develop a comprehensive framework of best practices in how African American caretakers effectively advance their children’s educational outcomes in adolescence. This work is occurring in two phases. In Phase I (Years 1-2), we are using mixed methods approach to identify effective educational involvement practices in African American families across the income spectrum, and to then develop and validate theoretically-grounded measures of African American family involvement in education. Findings to date have uncovered several new nuances in how African American parents engage in both the racial socialization and educational engagement processes, both simultaneously and separately. These include new taxonomies in school-based involvement and advocacy, discussions of how parents process and prescribe how their children manage encounters with law enforcement, how parents use cultural histories to instill resilience and perseverance, and how parents integrate “old school” and “new school” ideas on child-rearing approaches. These concepts have been subsequently converted into psychometrically viable measures that can be administered to a much larger number of participants. In Phase II (Years 2-4), we will use these measures to test the effectiveness of family involvement strategies on desired academic and behavioral outcomes between the 6th to 8th grade. 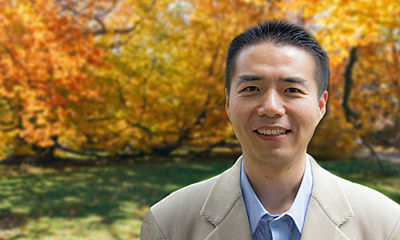 Ming-Te Wang is an Associate Professor of Psychology and Education at the University of Pittsburgh. He is a developmental psychologist whose research interests focus on achievement motivation and engagement, risk and resilience, stereotype threat and learning, and school-based psychosocial intervention. He is known for his research documenting contextual and psychological factors that promote student engagement in learning. His work is noteworthy in that it emphasizes the interplay of developmental processes across both academic and social domains in children, and situates these processes within school, family, and community ecological contexts. Dr. Wang is the recipient of the Richard E. Snow Research Award from American Psychological Association, Outstanding Early Career Research Award from Society of Child Development and American Educational Research Association, and Association for Psychological Science. He received his doctorate in Human and Psychology from Harvard University. Prior to graduate school, he taught middle school for five years. James P. Huguley is an Assistant Professor of Social Work at the University of Pittsburgh. His work focuses on school-based psychosocial interventions that promote racial equity and positive developmental outcomes for students of color. He is Co-Principal Investigator on a Spencer Foundation-funded project examining the benefits of ethnocentric and contextually adapted parenting in African American families, and an NSF-funded project examining the relationship between identity, classroom experiences, and math achievement for African American students. Wang, M. T., & Degol, J. S. (2016). School climate: A review of the definition, measurement, and impact on student outcomes. Educational Psychology Review, 28, 315-352. Hill, N. E., & Wang, M. T. (2015). From middle school to college: Developing aspirations, promoting engagement, and indirect pathways from parenting to post high school enrollment. Developmental Psychology, 51, 224-235. Wang, M. T., Hill, N. E., & Hofkens, T. L. (2014). Parental involvement and African American and European American adolescents’ academic, behavioral, and emotional development in secondary school. Child Development, 85, 2151-2168. Wang, M. T., & Sheikh-Khalil, S. (2014). Does parental involvement matter for adolescent achievement and mental health in high school? Child Development, 85, 610-625. Wang, M. T., & Huguley, J. (2012). The buffering role of racial socialization from parents on the association between racial discrimination and adolescents’ educational outcomes. Child Development, 83, 1716-1731. Huguley, J. P., Kyere, E., & Wang, M. T. (invited, under review). Educational Expectations in African American Families: The Importance of Immediate Performance Requirements Relative to Long-Term Persistence Expectations. Huguley, J.P., Wang, M.T., Monahan, K., & Keane, G. (in press). Promoting racially equitable school discipline in Greater Pittsburgh and beyond. Pittsburgh: Center on Race and Social Problems. Huguley, J. P., & Diamond, J. B., (*Co-first authorship, 2014). Testing the oppositional culture explanation in desegregated schools: The impact of racial differences in academic orientations on school performance. Social Forces, 93, 747-777.